The iLoad is the perfect solution when a car-based vehicle just doesn’t have enough space. 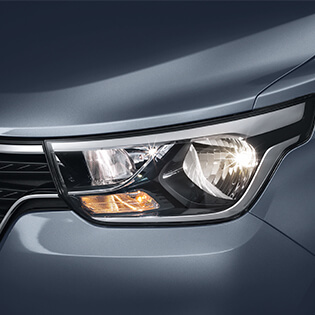 Within its attractive exterior is a comfortable, roomy and convenient interior. 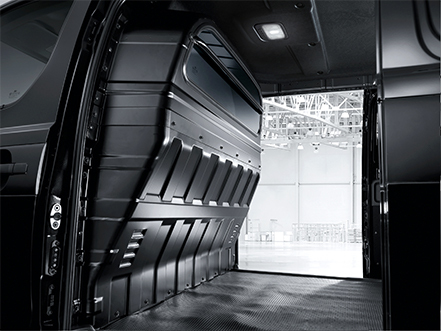 Customise the iLoad to suit your needs with a high-rise rear tailgate or optional twin 180 degree opening rear doors. 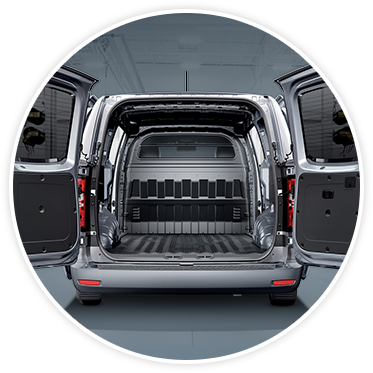 The panel van carries a 4.3 m3 load volume, with a full height steel bulkhead and strengthened chassis for extra carrying capacity. 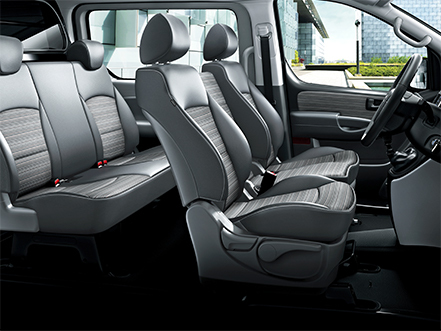 With 6 seats as standard, the Crew Van can transport passengers in comfort whilst still having a large 2.5 m3 load capacity. iLoad guarantees good performance together with rugged dependability and eco-friendliness. 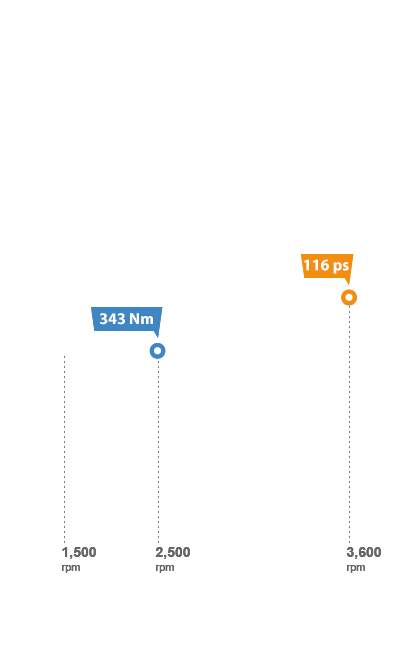 rating of 343 Nm is reached at 1,500 ~ 2,250 rpm. 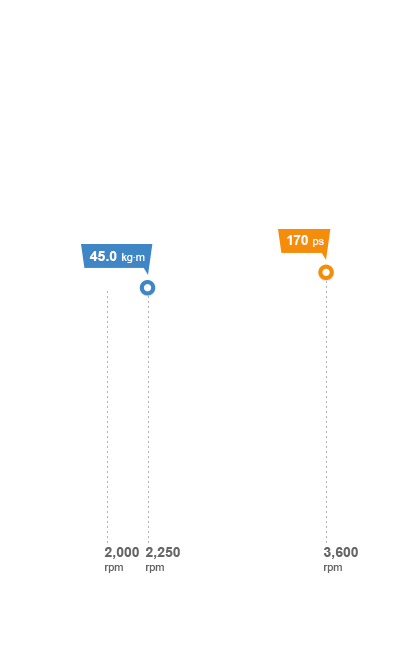 rating of 45.0 kg·m is reached at 2,000 ~ 2,250 rpm. Despite having a length of more than 5 metres, the iLoad has a turning circle of only 11.2 metres. 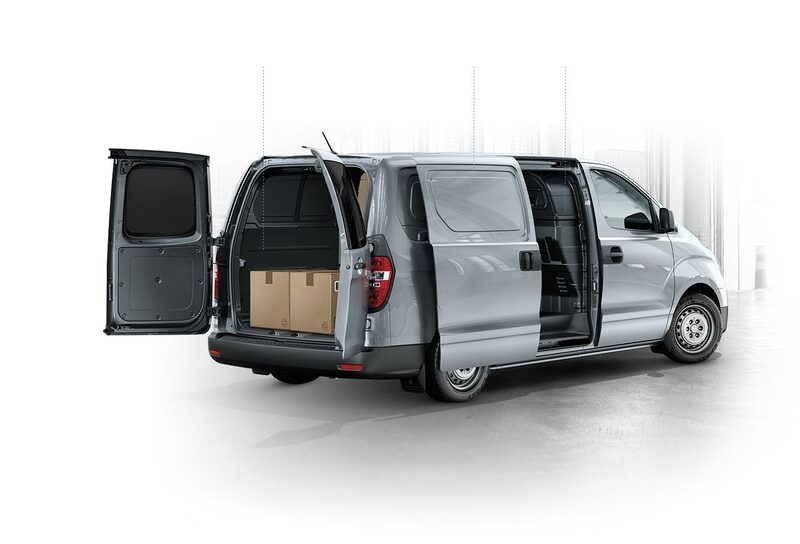 So tight turns are no problem for this large, versatile and capable van. The iLoad is a capable towing vehicle thanks to the 750kg unbraked and 2,300kg braked towing capacity; allowing you to easily hitch up a trailer, boat or caravan. 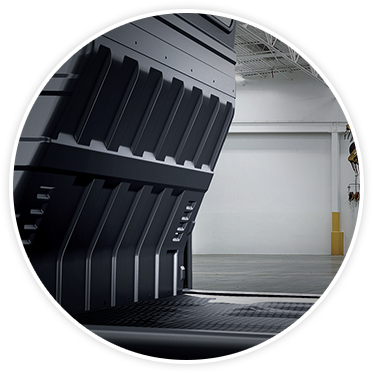 The iLoad has been engineered to provide active and passive protection for all occupants. 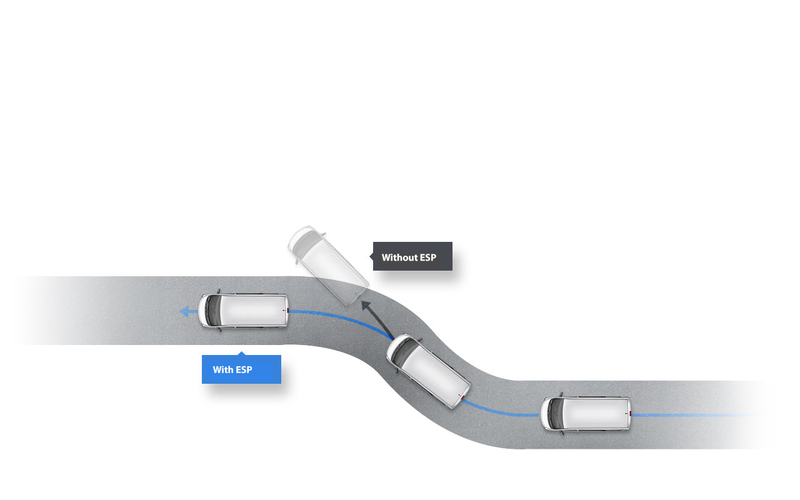 ESP helps you maintain control during emergency braking by modulating both brake pressure and engine torque. 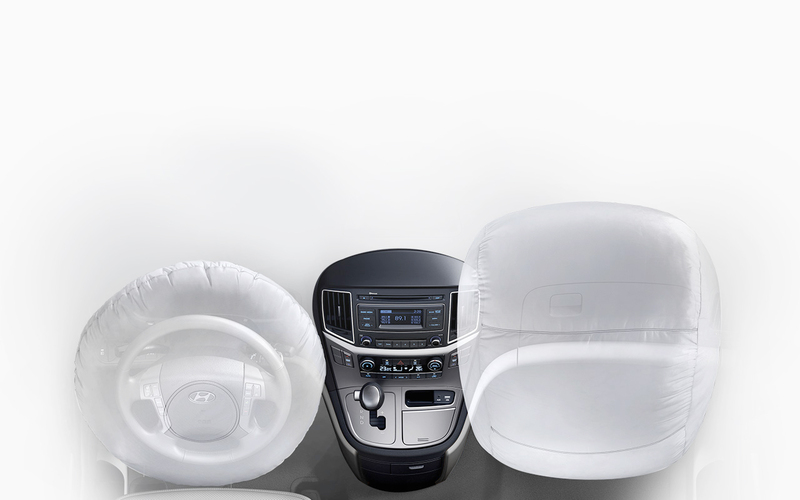 The front and front side passenger airbags in the iLoad provide effective protection against impacts. Please note all model variants are subject to availability with SE Crew Van via special order only. 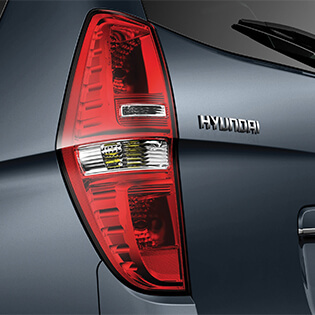 Orders can be placed with your local Hyundai Business Centre and will be fulfilled when stock is available. For further details please contact your local Hyundai Business Centre. 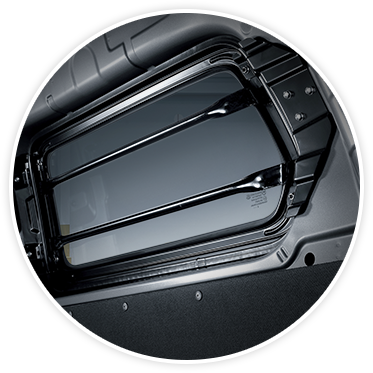 Lift-up Privacy Glazed Rear Tailgate is optional at no extra cost and is special order only. Hyundai Motor UK does not hold stock of derivatives with these options. Factory lead times will apply when placing your order. Prices stated are Basic Retail Price. All manufacturer’s recommended basic retail prices for iLoad are exclusive of VAT, delivery charges (£574 including VAT) including number plates, Vehicle First Registration Fee (£55 with no VAT payable) and Road Fund Licence (£250 with no VAT payable). VAT will be added to the final invoice at the appropriate rate. iLoad is classed as a Light Commercial Vehicle and is, therefore, covered by a Five Year 100,000 mile warranty. Any component forming part of the original vehicle specification manufactured by Hyundai Motor Company or supplied by Hyundai Motor UK Ltd (except tyres and accessories), which are found to be defective as a result of a manufacturing defect during normal usage of the vehicle will, at the discretion of Hyundai Motor UK Ltd, be repaired or replaced, at no cost to the vehicle owner. Components replaced under the terms of the warranty.